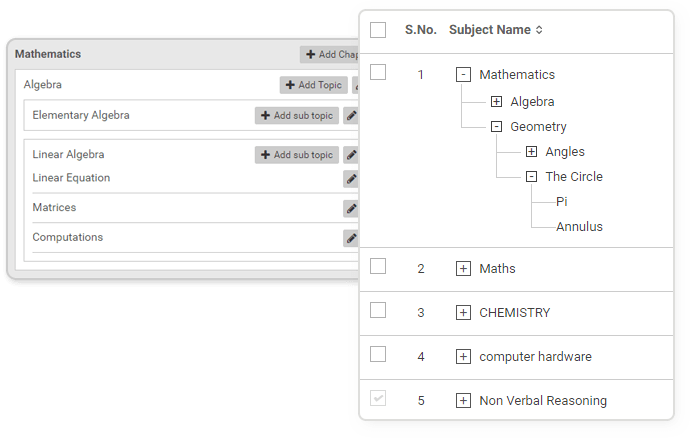 Manage unlimited repository of 7 variant types of questions offering detailed description, difficulty level using different formatting styles of the created questions. Use images, provide complex mathematical equations, multi-language support, etc. Add and associate a limitless number of questions in the question bank. 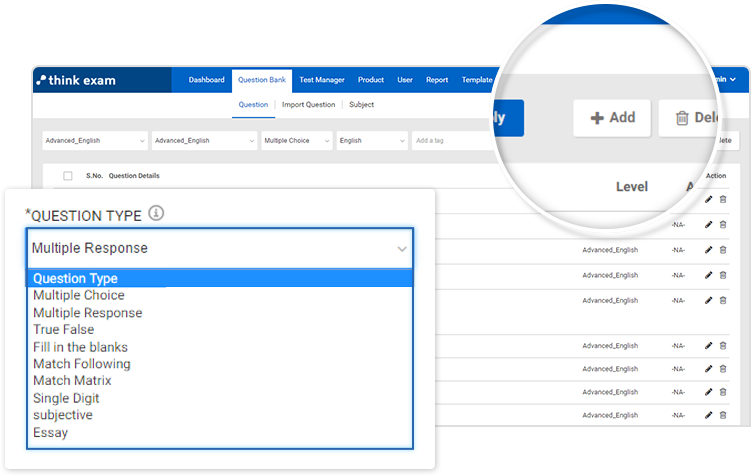 The administrator can either add and define one question at a time on the panel or can import an excel file constituting of multiple questions. 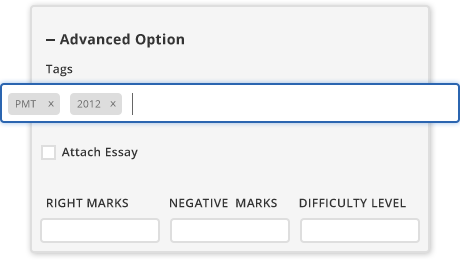 Easily create 7 different types of questions that are the multiple choice, multiple response, true-false, fill in the blanks, match following, match matrix and essay. Increase the difficulty by increasing the tentative number of choices from 4 to 8 for the questions of type multiple choice and multiple response. Mark questions using tags and get smooth search results using the online exam software. Considering the example: the user can bookmark questions of competitive papers like IIT 2006, PMT 2012, TOEFL, recruitment drives, etc. 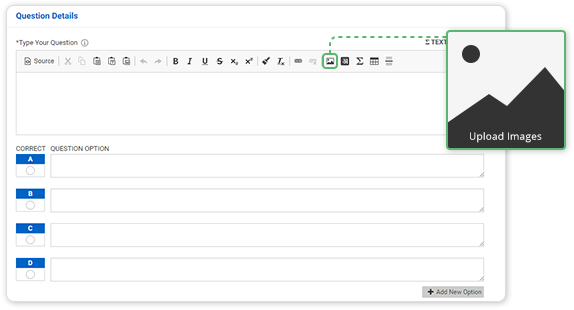 Easily filter the questions defined with a particular tag. Define questions using different writing formats and can add images to form an interactive online assessment system. Justify the correct option using in-depth details as an explanation to validate the answer. Multi-language creation, variant scoring combinations, fluent use of special symbols and complex mathematical equations. The default language is English and can support Hindi, French, etc. in Unicode, as an additional language on this online test platform. Define a subject up to 4 subsection definition. Taking an example: create a subject Mathematics, with 1st subsection Geometry, 2nd subsection The Circle, 3rd subsection Annulus. Easy customization of the assessment is allowed. The user can review the type of questions covered in a particular test or product. Match different sections and topics in accordance with the candidate’s priority of the applied course.